Mahindra and Mahindra has been around for a long time in India now. They were around when you were kids, and your dads were kids. In all that time, there were a large number of vehicles launched – some of which you may not even know the names of today. We bring you eleven such lesser-known vehicles from the car maker. 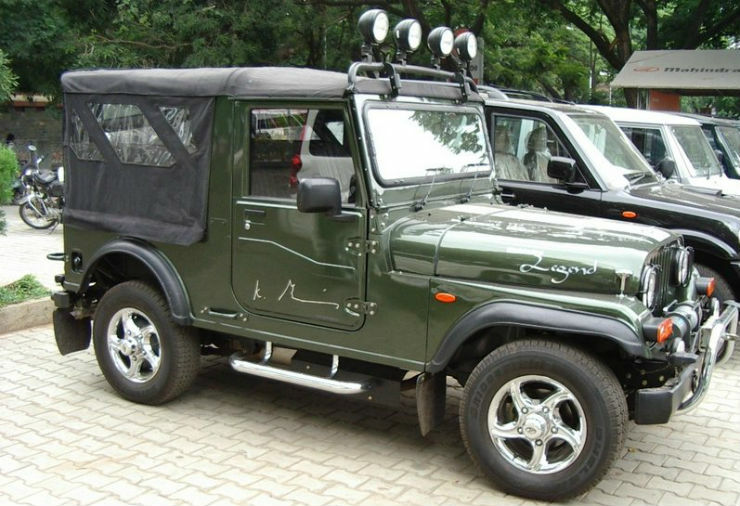 The Mahindra Legend can be termed as the spiritual predecessor of the Mahindra Thar.The SUV was based on Mahindra MM-540/550 and was a two-door, open top SUV that attracted a lot of looks. The vehicle was made on the chassis of Willys Jeep that made it capable. The Legend was powered by a 2.5-litre diesel engine that generated a maximum power of 58 Bhp. The Armada was quite a success in the market but there was one more edition based on the Armada called the Armada Grand. The Grand was a like a premium version of the Armada that had extra body panels on the outside and was more comfortable from the inside. It was aimed at people who wanted a rugged SUV but with comfortable interiors. The Armada Grand also looked quite different from the regular version of the car. It came with round headlamps to add a soothing touch to the vehicle. The Armada Grand was capable too and came with the 4X4 option that made it quite unique. Mahindra Voyager was an MUV that was a rebadged version of Mitsubishi LS300 van. The Mitsubishi van was quite popular in the international markets. It was a luxurious people mover that had a long list of features, which were never seen before in the segment before. The Voyager was something that was way ahead of its time in the Indian market. A 2.5-litre turbo diesel engine supplied by Peugeot powered the vehicle. The Commander was launched in 1991 and was offered in various layouts. The soft-top SUV was offered with a different number of seats and Mahindra also offered a long-wheelbase version of the vehicle. 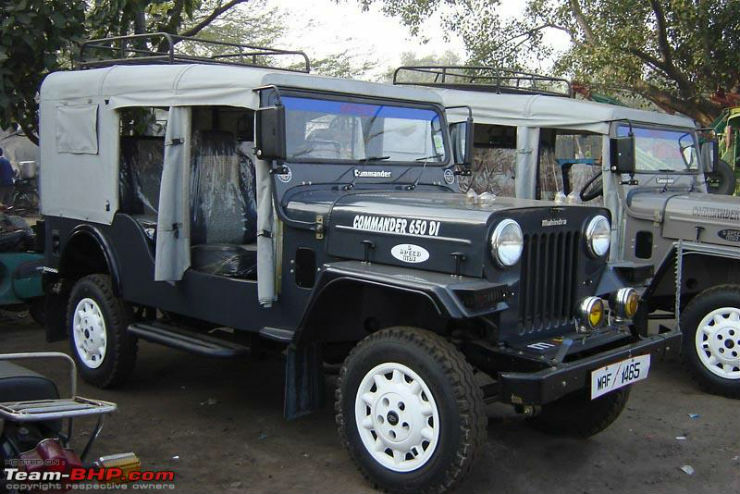 The Commander was mostly used as a people mover and was quite popular in the rural areas due to its ruggedness. The vehicle was also offered with different engine configurations. There is a 650 DI engine and a 750 DP engine. The DI engine was a 2.5-litre four-cylinder unit that produced around 50 Bhp of power and 147 Nm of maximum torque. It got a 4-speed transmission and was available in both 2WD drive and 4WD option. The 750 DP was powered by a 2.1-litre engine that generated 62 Bhp of power. Mahindra bagged an international order to provide 10,000 CKD kits of the Commander too. In 1996, Mahindra launched a hard top version of the Commander too. The Mahindra Invader attracted a lot of looks due to its fashionable layout. 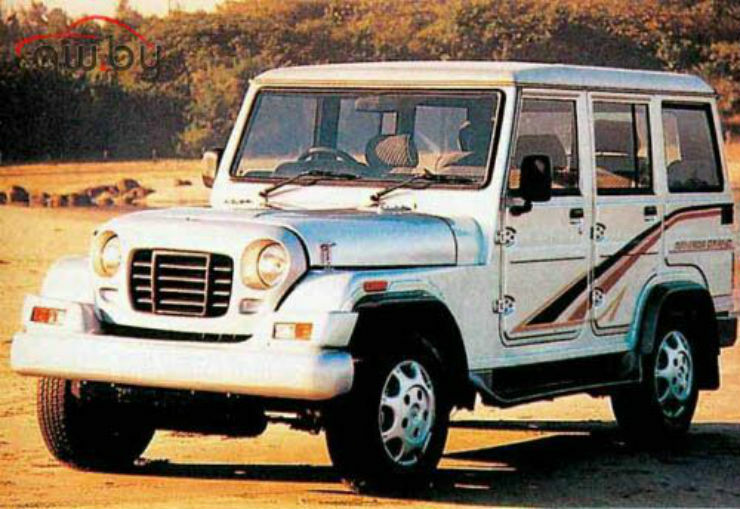 The vehicle was based on Mahindra Bolero but looked way different than the monotonous Bolero. It had a partial soft roof and had side-facing rear seats. The vehicle was targeted at the adventurers and was also offered with factory fitted front bullbar. The Invader was launched in various customised versions and was quite popular among the enthusiasts and celebrities. It was powered by a 2.5-litre engine that generated a maximum power of 63 Bhp and 117 nm of peak torque. 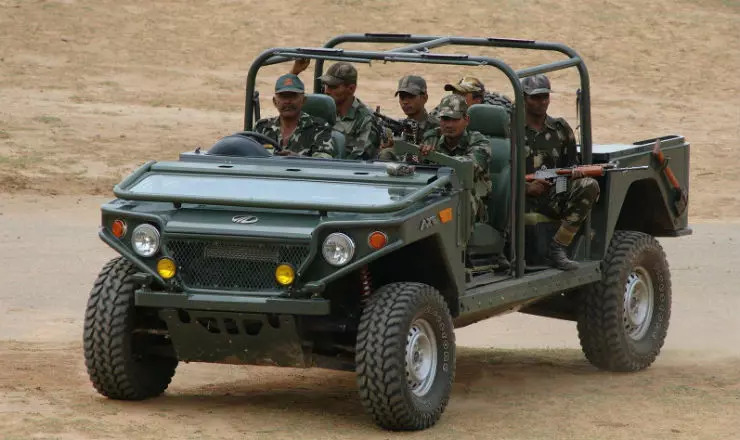 Mahindra also developed a vehicle for the armed forces of India. It was based on an Israeli vehicle. The Axe was developed as a military vehicle and was often dubbed as Indian hummer due to its bold wide body. Mahindra proudly showcased the Axe several times at different events but never made a civilian version of the specialised SUV. the Axe was powered by a 2.7-litre diesel engine that developed 173 Bhp and 346 Nm and a 4.0-litre petrol engine. Mahindra has a wide range of products that includes different modes of transportations. The Indian company also produces different kinds of boats to cater all the customer segments. The brand also makes yachts for the people with heavy pockets and other boats for commercial fleets. Mahindra even supplies boats to the Indian defence forces and has a wide range of product portfolio. Like many international brands, Mahindra is also involved in producing all-terrain vehicles. Mahindra has a sub-brand known as mPACT that is into the business of making ATVs. Sadly, their products are only available in the USA markets right now. mPACT has various range of ATVs that serve different purposes of the customers. The ATVs use engine ranging from 750cc to 1000 cc. 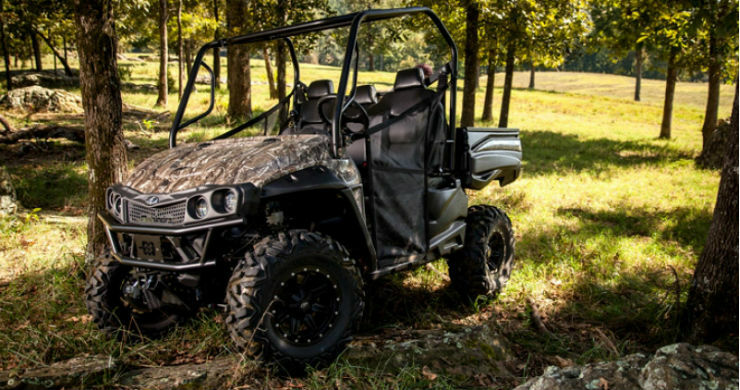 There are a total of 11 models that one can choose from the ATV range. Mahindra’s presence in the motorsport is quite deep. The manufacturer has a Moto3 spec bike that it manufactures and supplies to different race teams. Mahindra first showcased the model at the 2016 Auto Expo and it is powered by 250cc single-cylinder, liquid-cooled engine that produces a maximum power of around 50 Bhp. The bike was developed by Mahindra’s racing headquarters located in Italy. Mahindra also participates in Formula E (Electric) championship and they have developed their own powertrain for the race car. The complete car has been built with the help of other entities. 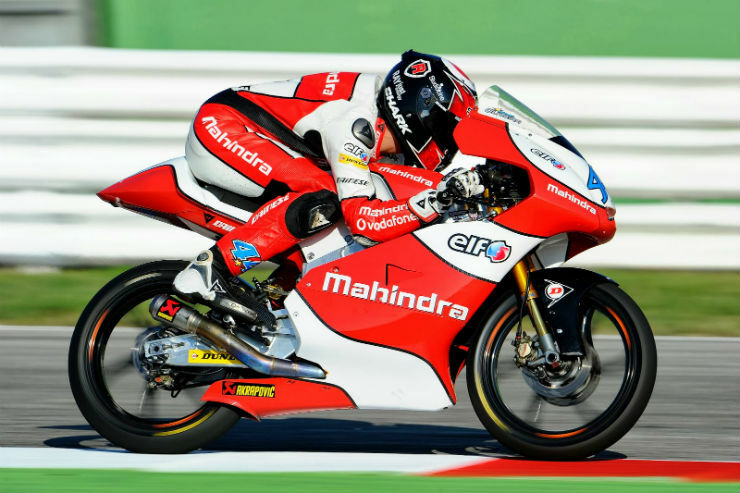 Mahindra became the first Indian team to complete the FIM championship and is quite well known in the Formula E circuit. A US-based company – Genze is a subsidiary of Mahindra and Mahindra. 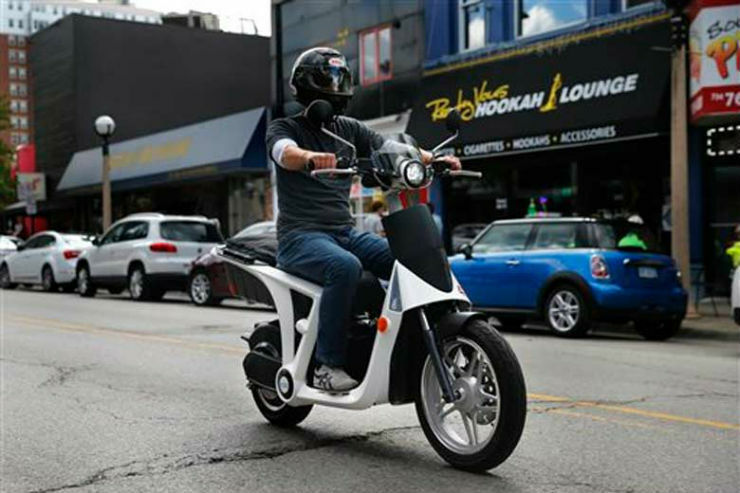 The company is in the business of producing electric scooters and electric bikes. Their top-of-the-line product is an electric scooter. It can reach a top speed of 48 km/h and has a range of 48 km. The battery takes about 2.5 hours to charge completely. Recently, there were reports that suggested that Mahindra may bring in a modified version of the scooter to the Indian market with longer battery range and a higher top speed.